Throughout the second part of the 20th century, the downtown neighborhoods of American cities went on a steep decline. After World War II, millions of American households could now afford a car and a house mortgage, and they took advantage of this newfound freedom to move into the quiet suburbs and away from the dreary and dangerous city centers. They took their money along with them, and so the inner city became even poorer. Still, it was the “big box” department stores like Walmart that really signaled the end of the old downtown. Small stores that sold things like hardware or general goods couldn’t compete with the big store’s prices and variety, and so they went out of business. For many years, it seemed like downtown neighborhoods were dying and there was nothing to do but wait for the end to come. However, in the last few years many cities have been turning their downtown districts around, revitalizing them and making them places worth visiting once more. There are several reasons this is happening. While big box stores are able to offer a wide range of clothes, accessories, furniture, groceries, and everything else you might need, they only have enough room for a few examples of each product. That’s why specialty shops have been thriving: instead of offering a little of everything like a general store, specialty shops carry an incredible variety of just a few products, the kinds of items that you’d have a tough time finding even by searching online. This can often include used goods in antique stores and consignment shops. Something else cities have been doing is redesigning downtown streets to be more open and friendly to pedestrians. 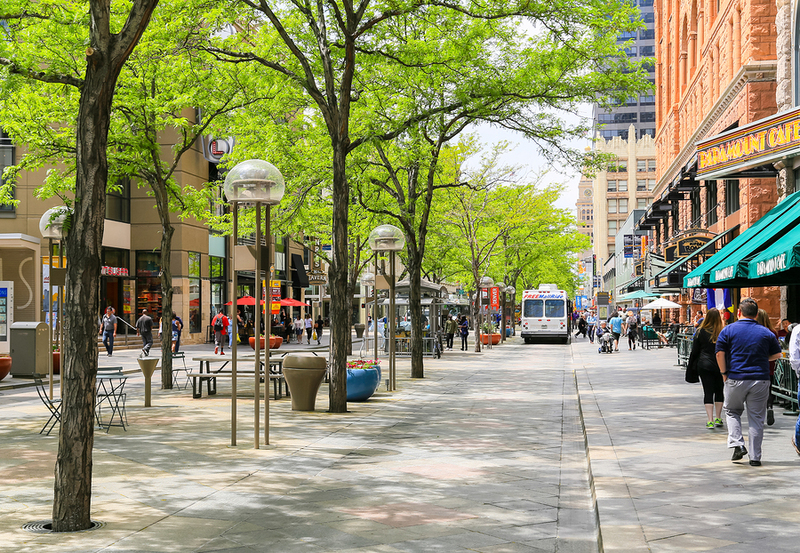 In some cases, they convert entire streets to pedestrian walkways, but this redesign also includes things like adding colors and plants to the sidewalk, adding bike lanes to downtown roads, and encouraging developments that would let people walk everywhere they need to go. Fiber internet connections are another way that cities are revitalizing downtown areas. For instance, a growing number of businesses in San Antonio can now go online using a fiber internet line. This encourages high-tech businesses that need gigabit internet speeds to bring their employees to a downtown office building. Thanks to all these efforts, the urban centers of major cities are coming back to life and bringing some much needed money and populations with them. The old downtown may be gone, but something better has taken its place.